RBX performance with just two Barbs! 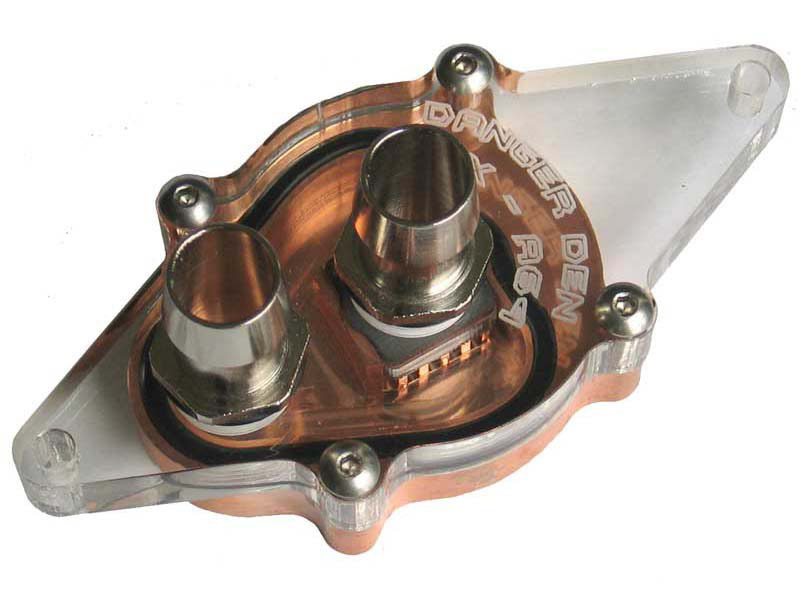 Includes - Complete Block Assembled with Top and O-ring, and #1 Accelerator Plate. Ships with High Flow 1/2 inch Fittings and Stainless Steel Hold Down. Socket wrench included to remove bolts. Machined Lapped and Touched up to 1200 grit. Pressure tested before shipment to 85psi. Compatible with the Athlon64/Opteron 754/939/940.